More than 900 candidates from undergraduate, graduate and doctoral programs at the Bauer College participated in the May 11 commencement celebration. The University of Houston C. T. Bauer College of Business celebrated Spring 2013 graduates during a commencement ceremony on May 11 in Hofheinz Pavilion on the UH campus. The Bauer ceremony is part of a full day of commencement on campus, the university’s esteemed tradition of General Commencement to honor all graduates and achievements in a grand celebration. More than 900 Bauer students from undergraduate, graduate and doctoral programs claimed their degrees in the Spring 2013 ceremony. Bauer College Dean Latha Ramchand also congratulated degree candidates from the college and presented them to the president for the bestowal of their degrees. 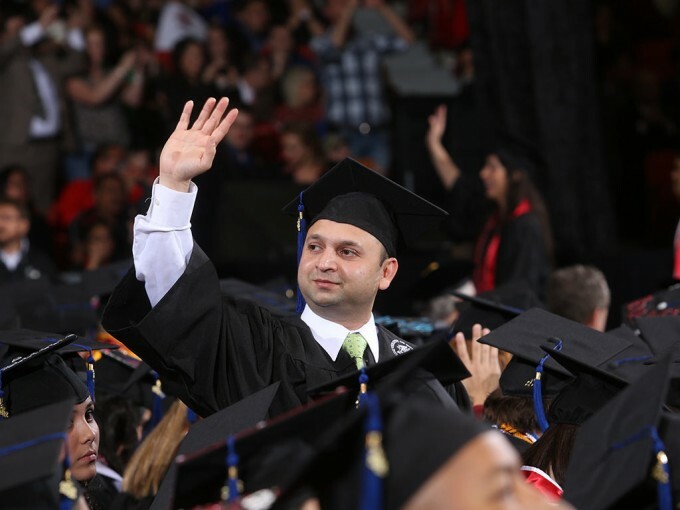 To see photos from Spring 2013 Commencement, click here.